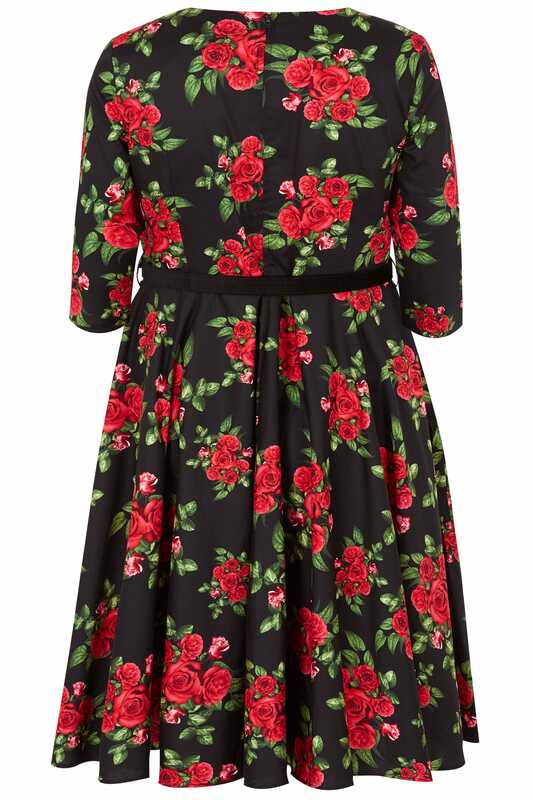 Get ready for the party season with this striking skater dress from HELL BUNNY. 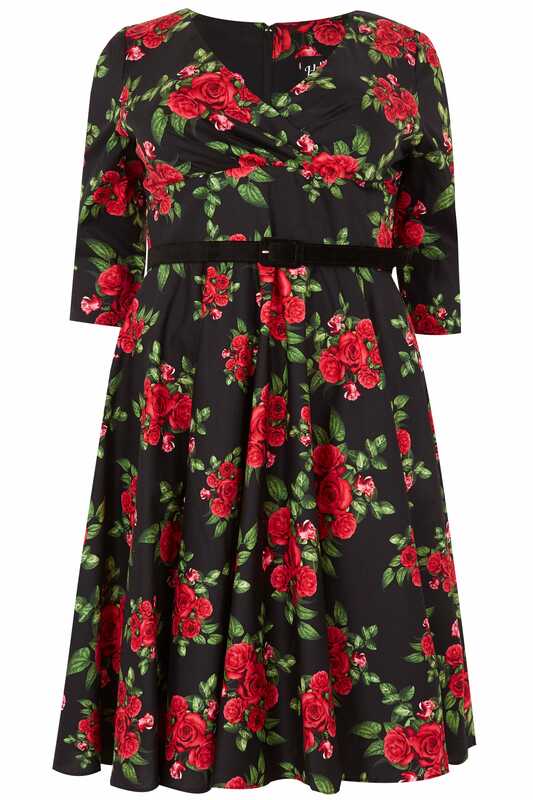 Featuring a velvet waist belt to flatter your curves, it features an alluring v-neckline with ruching and a stylish rose printed design. 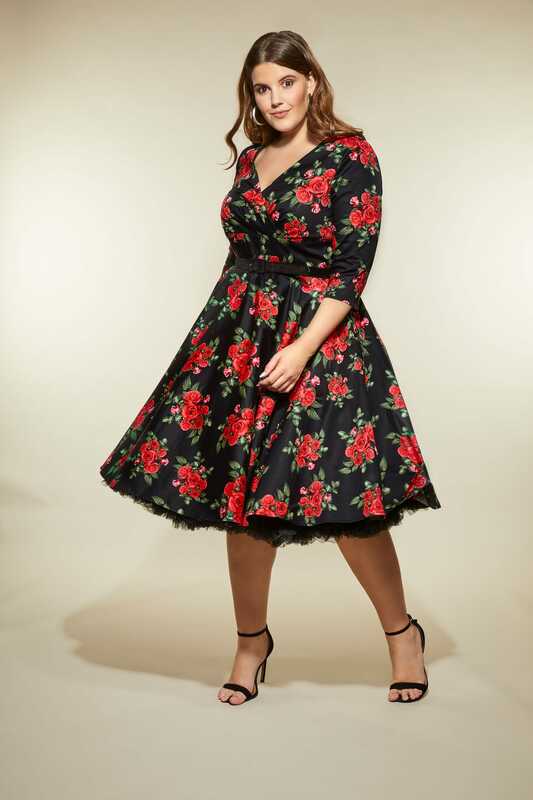 Team with a pair of heeled court shoes and clutch bag for a 50s inspired look. 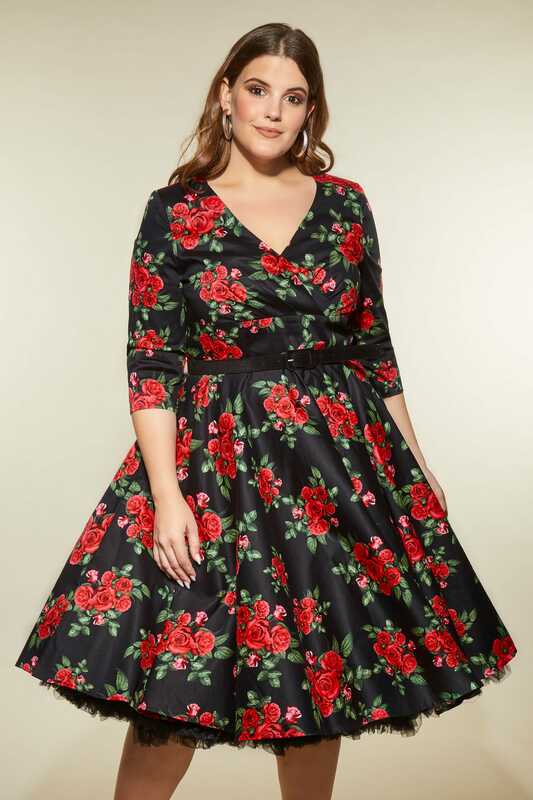 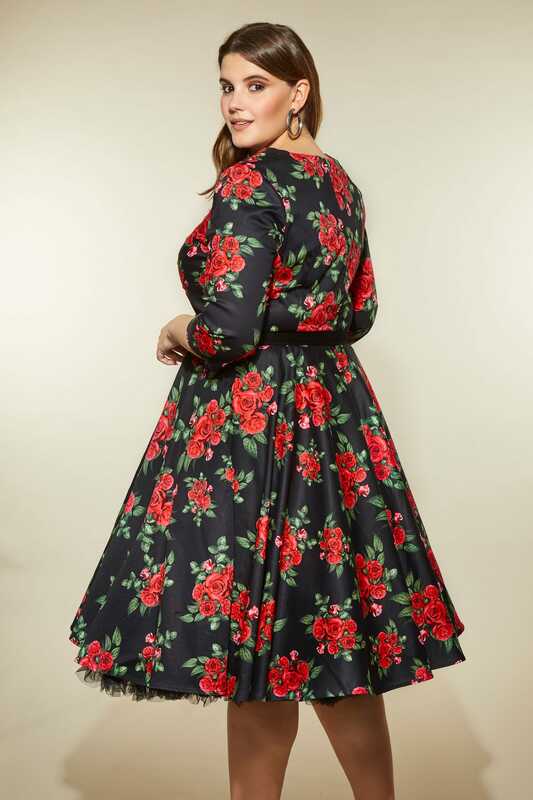 Roses are red, violets are blue, we love this dress and you will do too!